Orders may be submitted by telephone or e-mail. We accept Visa/Mastercard payments. Cheque with order is acceptable. No payment details are processed via this site. Welcome to our newly updated site. If you have any questions about any of the products within this site please do not hesitate to contact us. 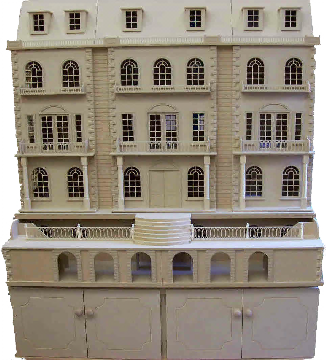 Please contact us if you wish to purchase any of our amazing miniature dolls Houses. At order confirmation our hand built houses are to be paid in full which will include personal delivery*. A minimum of 28 days’ notice is normally required as these are made to order. Please see our portfolio page for our latest range. We also show, for reference, custom decorated houses and the world’s largest manufactured 1:12th scale Dolls house which was produced by us.